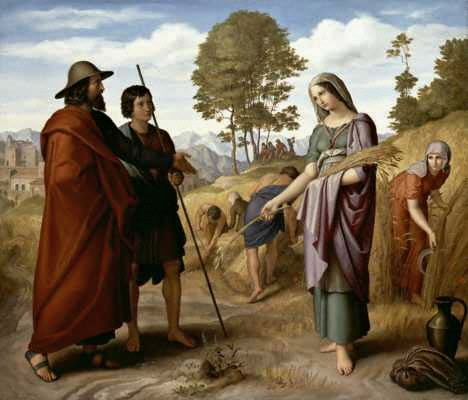 The romantic story of the Moabite woman Ruth, who is remembered for one of the most celebrated statements of devotion in the Old Testament, is linked to a field near Bethlehem. 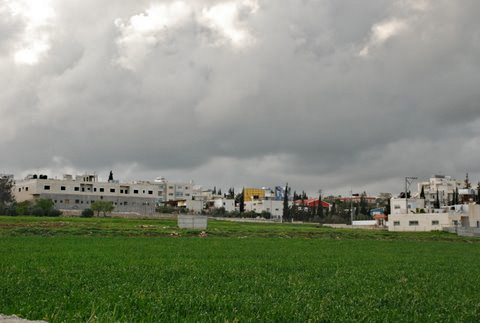 The Field of Boaz is east of the Palestinian town of Beit Sahour, in the fertile plain that descends to the Dead Sea. Now increasingly hemmed in by buildings, it lies in a shallow valley north of the Shepherds’ Field Greek Orthodox Church. As the Book of Ruth recounts, Ruth was a daughter-in-law of Naomi, a Bethlehem woman who had gone with her husband and two sons to the land of Moab (east of the Dead Sea) to escape a famine. Naomi’s husband died and her sons married Moabite women. Then, after about 10 years, both of the sons died. 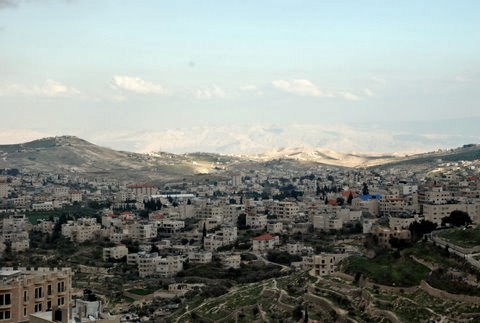 Naomi decided to return to Bethlehem, but she urged her daughters-in-law to stay in their homeland of Moab. One of them, Ruth, insisted on going with Naomi. Ruth’s devotion was to find its reward. The two women reached Bethlehem as the barley harvest was beginning. So they would have food to live on, Ruth went to the fields to pick up barley the reapers had left behind for the poor, a practice known as gleaning. The field she went to was owned by a rich landowner named Boaz, who was kind to her because he had heard of her loyalty to Naomi. Eventually Ruth and Boaz married and Ruth gave birth to Obed. He became the father of Jesse, who was the father of King David — forefather of Joseph, the foster-father of Jesus Christ. Thus the faithful Ruth was an ancestor of Jesus. Today, Ruth’s memorable words of devotion to her mother-in-law, “Where you go, I will go . . . .” are used in some marriage services. 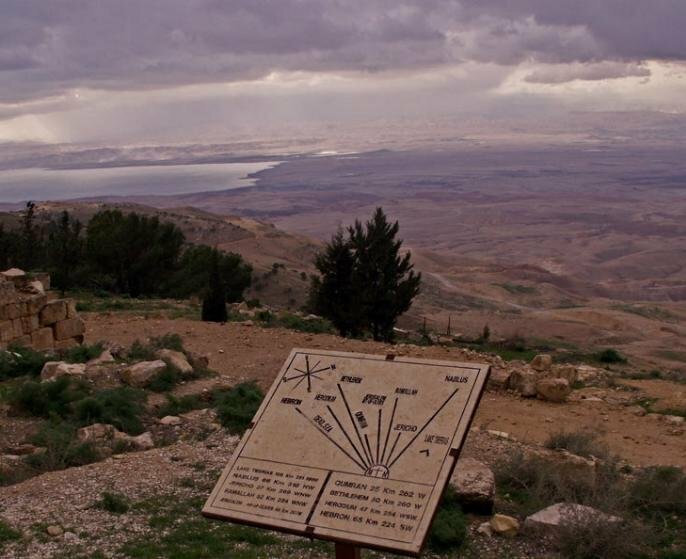 After 40 years leading the headstrong Israelites in the desert, Moses stood on the windswept summit of Mount Nebo and viewed the Promised Land of Canaan — after having been told by God “you shall not cross over there”. On a clear day, today’s pilgrims can see the panorama Moses viewed: The Dead Sea, the Jordan River valley, Jericho, Bethlehem and the distant hills of Jerusalem. As Deuteronomy 34:5-6 recounts, Moses died there in the land of Moab “but no one knows his burial place to this day”. Moses did, however, eventually reach the Promised Land. He and Elijah were seen with Jesus at the latter’s Transfiguration (Luke 9:28-36). Mount Nebo is now in western Jordan. At 820 metres high, it looks down 1220 metres on the nearby Dead Sea (which is about 400 metres below sea level). Early Christians from Jerusalem made it a place of pilgrimage. In the 3rd or 4th century monks from Egypt built a small church on one of its peaks, Siyagha (a name meaning monastery), to commemorate the end of Moses’ life. By the end of the 4th century, an empty “tomb of Moses” was being shown to pilgrims on the mountain. The monks’ church was expanded in the 5th and 6th centuries into a large basilica with a stunning collection of Byzantine mosaics and an elaborate baptistry. Though little remains of the early buildings, the mosaics can be seen inside the present-day shrine. The main mosaic, about 9 metres by 3 metres, depicts monastic wine-making, hunters and various animals. In the 1930s the Mount Nebo site was excavated, thanks largely to a description of it in the journal of an early woman pilgrim, Egeria, in AD 394. Six tombs were also found, hollowed into the rock beneath the basilica’s mosaic floor. Outside the present-day shrine stands an enigmatic serpentine cross, the Brazen Serpent Monument. 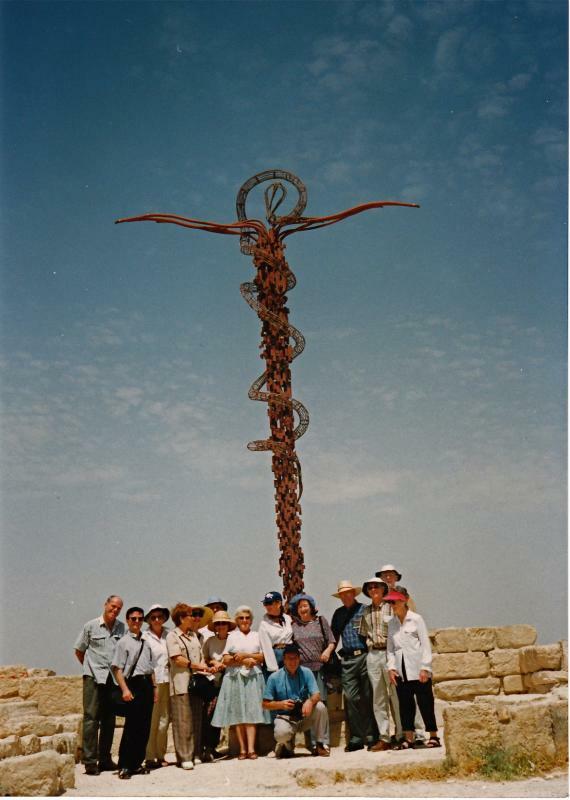 Created by Italian artist Giovanni Fantoni, it imaginatively merges the life-saving bronze serpent set up by Moses into the desert (Numbers 21:4-9) and the cross upon which Jesus was crucified. 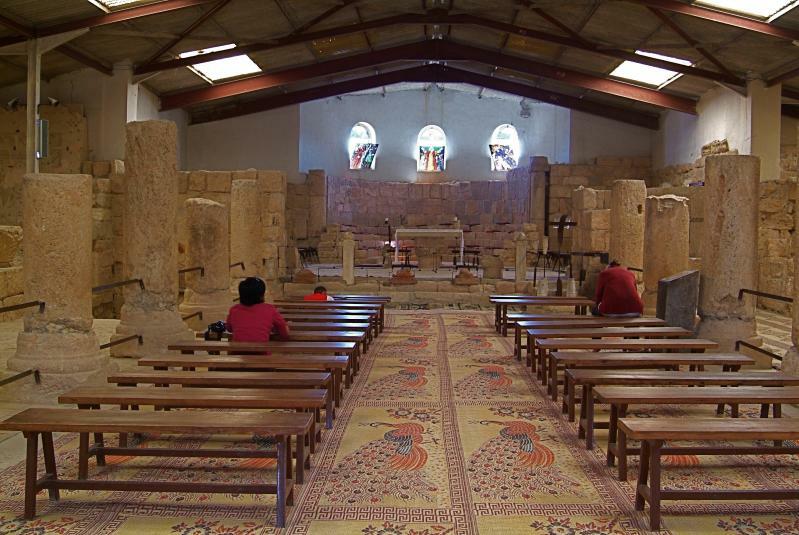 A less well-known site is at Khirbet al-Mukhayyat, a small town to the east, between Mount Nebo and Madaba. Here are the remains of the village of Nebo, mentioned twice in the Bible, where villagers in the 6th and 7th centuries constructed several churches. On the highest point of the acropolis was the 6th-century Church of St George. The best-preserved floor mosaics are in the Church of Sts Lot and Procopius, who were venerated as martyrs.